A celebration in Colorado Springs! COLORADO SPRINGS, CO—In a joyful ceremony, Christian leaders gathered to grant Jordan Peterson the status of honorary Christian. Though the Canadian professor has never identified as a Christian and does not attend any church, a vote was taken and the decision was made unanimously that Peterson had earned his salvation and could be drafted into heaven by popular vote. Though Peterson holds a number of highly controversial views such as that most societal problems are really complicated, men shouldn’t be deadbeats, speech should be free, and that becoming dogmatically ideological stunts intellectual and moral growth, the Christian leaders decided to overlook these grievous sins and still honor him with the award. I still find it amazing that conservatives lionize Peterson and lambast Soros even though the two men share the same ideological perspective, possess the same messianic self-perception, and have the same long-term objectives for society. Did Jesus get a vote? Even pretending to hand out salvation paid for by the blood of the Christ like it was some bowling trophy, these “preachers” should be branded as heretics. Can’t wait for the passing out of millstones. Oh boy, they got me. I was in Colorado Springs two years ago, for the Republican Assembly to which I was delegated. Lots of megachurches. Advertisements for Generic Corporate Product X which said "have a BLESSED day!". A regular of one such megachurch - one Darryl Glenn, some black guy with a military record but without much else - came to the Assembly running for Senate. He wowed the crowd (not me, I voted for Littleton) and ran off with the majority. It was later revealed that Mr Glenn had plagiarised his speech from another candidate and, of course, had cheated on his wife. I took the time to do my own research on Mr Glenn (I didn't know about the rest, the state GOP was worried about Hillary-v-Trump and trying not to make waves) and I found his megachurch, which was intensely Churchian. Colorado Springs is Bible Belt if the Osteen family was in charge of Biblical interpretation. 'Tis a silly place. The worst part is, this comedy site is altogether too believable. "and that becoming dogmatically ideological stunts intellectual and moral growth"
Lol. Yeah, Colorado Springs is ground zero for that sort of silliness. The Curia, a perennially wretched hive of scum and villainy, has outdone itself in the last 70 years or so. We must pray for another Counter-Reformation. The return of the Templars wouldn't be bad either. Actual LOL from that one. Now the Grand Inquisitor can intone "I SMELL HERESY! ", and send the Space Marines. Nothing like a futuristic pyre of gamma-ray emitter logs. Meh, not really Peterson's problem. The church is at fault, not him. The best satire is painted in truth. You confess Christ or you don't. Pretty sure the lukewarm part applies to all of those involved in that circus. At first I thought... this can't be real. THEN I thought, but many Churchianity churches would do this without a twinge of conscience or fear of God. Alas, that's not much better, just a different kind of insolence. Knowing it's the Bee, this it hilarious. Just close enough to the truth for trolling. What is this, a meme? Lol Vox did you really fall for a BB article? The Bechtloff wrote:Lol Vox did you really fall for a BB article? Guys, Vox knows it's satire. It's good enough rhetoric to make fun of Churchians and maybe even remind a cultist that Jordanetics isn't a real profession of Faith. No, I don't think he did fall for it. However, the BB article does highlight a number of beliefs Christian JBP supporters hold about JBP. The article also dutifully reminds us that grace and salvation are not democractly granted, and that JBP holds many beliefs that are sins. Good article, well written, and thanks for sharing. In Jordan Peterson's defense, he isn't a Nazi collaborator like George Soros. 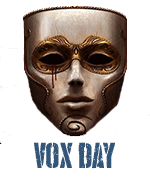 did you really fall for Vox trolling you with an obvious parody website? which Vox has cited previously? Rhetoric has to be grounded in truth. And so does satire. Brilliant article. A two-for-the-price of-one skewering. The twin vapidities of Churchians and Peterson captured in 400 words. No, but both the Judeo-Christ and Golden Dindu have shown their approval via their apostle Jimmah Carter. The Reverends Jesse, Al and the hovering spirits of Saints Martin Looter Kangz and Swisher the Sweet (Gentle Giant of Fergusdishu) no doubt hoot their approval as well. What is that ideological perspective they share? John Calvin burned people for far less. Also... if you don't read the Babylon Bee every single day... your life is simply darker than it needs to be. Being an honorary Christian is like getting an honorary degree. Or 451, as in degrees Farenheit burning in hell. Has anyone ever been made an honorary Jew? I worry that that Jews will get with the Pogrom. First, thanks to the multiculturalism, there is likely no longer a majority that cares about Israel or the Holocaust. Second is the continued accusation of being Nazis if you aren't rabidly philo-Zionist. Third, and perhaps fatal is the Civic Nationalism at best, Cuckservatism at worst of even the non-Neocon Jews. We can have "Chinatown" where there is an ALIEN ethnic enclave in a White domain, so we can have a Jewish area, but that still requires the gratitude of a guest, not the arrogance of the entitled, especially if they are more able. have the same long-term objectives for society. yes... that would be why Peterson has spoken against the EU repeatedly and talked multiple times about it being doomed to failure (along with other "too big" things). Babylon Bee 2.0 is really coming into its own. "Has anyone ever been made an honorary Jew?" "John Calvin burned people for far less." Fake history...Arminian revisionism. Calvin never burned anyone. "In Jordan Peterson's defense, he isn't a Nazi collaborator like George Soros." On the one hand, very funny. On the other very telling that someone would turn that into a joke. 90% of the prelates in the entire Church are down with the "we don't to be too rigid" madness. How anyone can look at the current situation and think that is beyond me. My mum loved the one about the sentient vampire hymnals, stalking and killing the “worship director”. "What is that ideological perspective they share?" That (1) the cause of war and strife is that people have all these differing identity groups and outgroups, and (2) the way to account for that is to dismantle those group identities. Judaism doesn't need to concept of the honorary Jew; it has the concept of the righteous amongst the nations. And to the Jews' credit they *do* honour the righteous. Cyrus II is hailed in (literally) messianic terms. And Israel hosts monuments to gentiles who saved them from the Nazis. Clean your room and enter the Kingdom of God. Amen Ian Stein. No moist boys here. One of the great lessons of life is that all of the evil, sin, heartache; everything bad in this world; it's because of YOU. It's what Jesus came to teach us. Change yourself; change your state of mind; and you'll change your world. 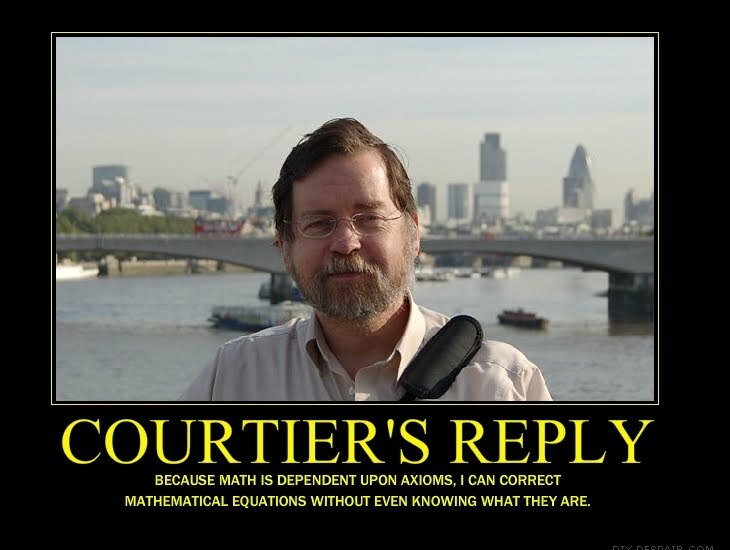 The first question when receiving a confident assertion should always be, is it true? "Though the Canadian professor has never identified as a Christian"
This statement is not actually true. You can say he's not really a christian despite his statement in the video, or that he's the wrong kind or he's odd as hell, all legitimate points of view. To say that he's never identified as one is just off the table. We must do more than pray. While storming the Vatican and burning all the pederasts in it at the stake would be a good start, we probably need to organise ourselves a little more first. We don’t need huge numbers either. As Vox says, it only took 11 men. What we do need is a coherent group that spreads the word properly, and in time, we absolutely need to turf out the impostors. A lie is not the truth. So no. Heh, heh. Yes, much too believable. I too thought it could be a real story, before looking at the source. I mean why not, right? These people have walked right up to this line already. And, of course, the Unitarians, et al have long crossed it. The left has made JBP an honorary Nazi MRA, while the right has made him an honorary American cuckservative. Now this? What a guy! So honorable, like a projector screen. Congratulations. You managed to embarrass yourself twice in a single sentence. The BB guys are spot on as usual. I “heart emoji” this reply. My daughter was in a college class with a Canadian girl. She said where us down south have pastors to interpret Reality, Canadians have psychologist to do that job. This pastor's kid who overheard that was irritated by the comparison, but this story proves the point. Each culture has its own flavor of philosopher king. This is unbelievably disgusting and heretical that alleged Christian leaders think they have the authority to usurp God's authority and bestow even "honorary" Christianity on someone. Translated to modern American English that would be "good goy". Dire Badger wrote:The worst part is, this comedy site is altogether too believable. Yeah; that is the problem with things the past few years: reality has become so twisted that saying "parody is obsolete" isn't too far from the truth. -- For example: FBI Warns Republican Memo Could Undermine Faith In Massive, Unaccountable Government Secret Agencies. I have a Babylon bee T-shirt. The Bee is always on point. Thank you for this post, Mr Day, thank you. The shear number of walk backs on this thread as people realize they have fallen for the BB once again is glorious. Ha ha! I knew this was the Bee without clicking. They are great.